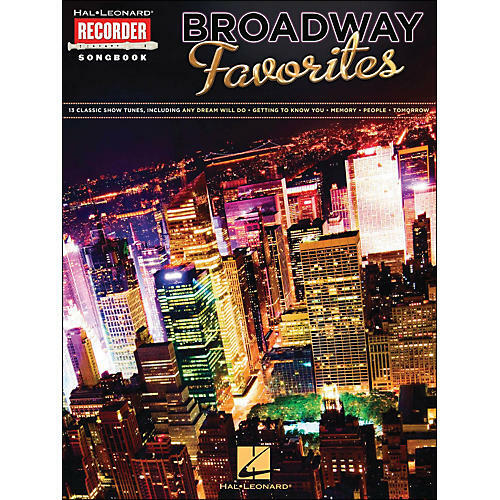 13 favorite showtunes arranged for recorder: Any Dream Will Do ? As Long as He Needs Me ? Consider Yourself ? Getting to Know You ? I Dreamed a Dream ? Make Someone Happy ? Memory ? On a Clear Day (You Can See Forever) ? On My Own ? People ? Sunrise, Sunset ? Tomorrow ? We Built This City.